I keep reading article after article claiming NPR executives used poor judgement when entertaining a potential donor that was supposedly affiliated with the conservative-targeted Muslim Brotherhood. To say that NPR's senior fundraiser Ron Schiller made a serious error of judgment when he sat down with a "no strings" potential donor called the MEAC, is an understatement. The meeting for an organisation allegedly backed by the Muslim Brotherhood was in fact a hoax perpetrated by the rightwing activist James O'Keefe. The covert video of the meeting not only did for Schiller but also resulted in the resignation of NPR's chief executive Vivian Schiller (no relation). This alleged association with the Muslim Brotherhood is based on assumption and taking James O'Keefe's word at face value. 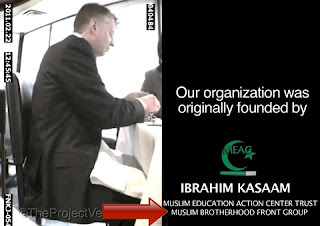 In the video, the two actors pretending to be members of this other Muslim organization, the Muslim Education Action Center Trust, or MEAC, simply state that their group was founded by "a few members of the Muslim Brotherhood in America" - how does this translate into MEAC being a front group? Simple. James O'Keefe tells us it is. Beneath MEAC's name, O'Keefe let us know (but not NPR) what this group was supposed to be. 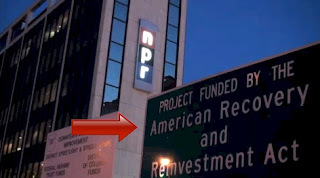 I also noticed something else - O'Keefe makes a big deal about federal funding of NPR, and as Ron Schiller points out, a minority of their funds come from the government. The purpose of O'Keefe's video becomes more clear when you consider the opening shot of the video, featuring a shot of the NPR building and a sign from the adjacent lot saying "Project funded by the American Recovery and Reinvestment Act" - why would anyone O'Keefe's narrative when he uses deceptive imagery to elicit a certain response?